For kids, to monitor fever is a pain in the neck. They would be cranky and restless and to record the temperature in the old way is very grilling during those times. These Digital thermometers are quicker, accurate and now advised by most of the doctors across the world. They are available in a variety of shapes and sizes. Now-a-days they are available in any drug store easily. This digital thermometer is designed by Yuma, and they are faster and have a more accurate way of recording your temperature. You need to set the mode and measure the temperature of the object, room or liquids. 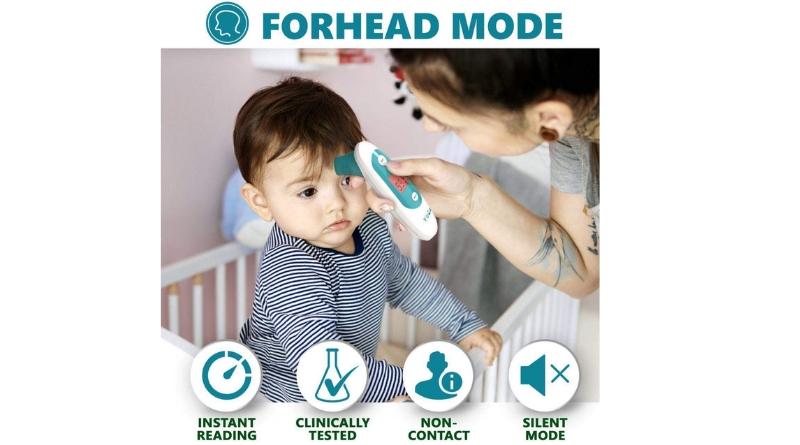 You can measure the body temperature by placing it on forehead or ear.